So, we’re well on our way into 2018 by now (and miraculously I’m yet to accidentally write “2017” on anything so far!) I hope you all had a great Xmas and New Year’s! We had a great Xmas up in the North-western Turmeaus Squadron, with the shops fuller than ever before with us barely able to keep stock in before it got snapped up as a Christmas gift. I’m so glad to have these bad boys back in stock! We briefly had them a few years ago, but if I recall correctly, we only had a few boxes, which got snapped up immediately and then they immediately fell off the map for several years, before finally resurfacing in 2017. Thankfully, they’re just as good as I remember. With Partagas’ unbeatably rich and sweet blend, dressed in a stunning Maduro wrapper. Smoking one of these is like Smoking a Serie D No.4, wrapped in a brandy snap, dipped in chocolate and then sprinkled with dreams. They’re just absolutely ridiculous. Can’t recommend enough! Traditional English/Scotch mixtures are often ten a penny in specialist pipe shops and to the uninitiated they can often seem very similar. Naturally that’s not the case, in the way some people think all whiskies taste the same. There is certainly a similarity between many of these blends – at least in the cold aroma – as they all tend to use at least a small amount of Latakia, which can dominate the aroma somewhat. However, some blends still stand head and shoulders above the rest and this mixture is one of those. We have regulars in Chester who literally buy this stuff by the Kilo! This is partly due to the unique blend of tobacco in the base mixture, (Zimbabwe, Malawi and Brazilian Virginia with a mixture of regular and sun-cured Malawi Burley) with the Latakia providing only 12.5% of the blend. Rather than just leaning on the Latakia for flavour, this blend has a rich and complex base, which really sets it apart from its more simplistic rivals. Cool burning too as an added bonus! This shouldn’t really come as a surprise, as the world-famous Montecristo No.4 (Or its tubed counterpart the Petit Tubo) are consistently at the top of the UK’s best-selling cigar. 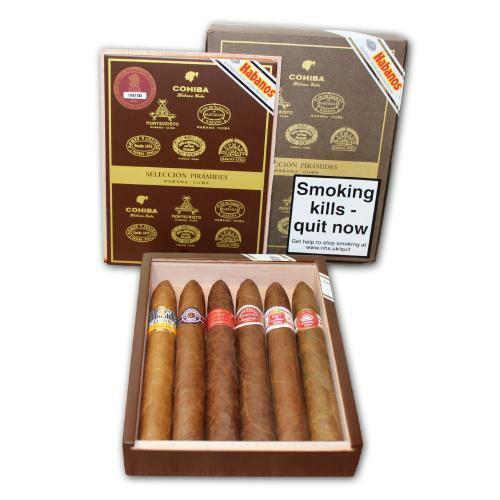 It’s easy to see why, as its rich, spicy and slightly sweet taste is seen by many as the “Classic” Cuban taste profile. If (for some bizarre reason) you’re only ever going to try one cigar, make it this one! 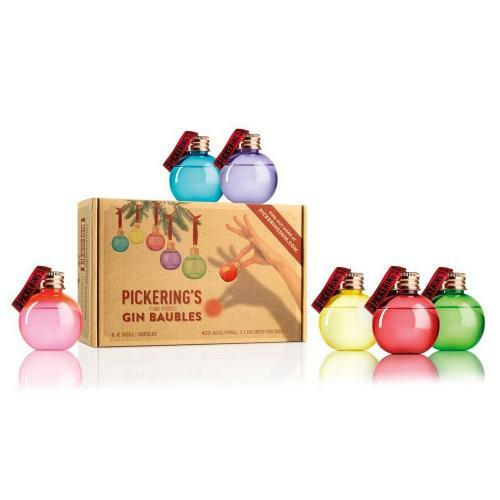 These things are just awesome and make a perfect gift at any time of year. Each set contains five cigars of the same vitola, with a card containing a little bit of info and space for you to make your own tasting notes. Putting the presentation, convenience and value aside, these are great for anyone who is looking to experiment with different blends. The fact that you get different blends in identical vitola makes these sets great for comparing blends side by side, as the taste is not affected by the subtle difference you get between different shapes and sizes. 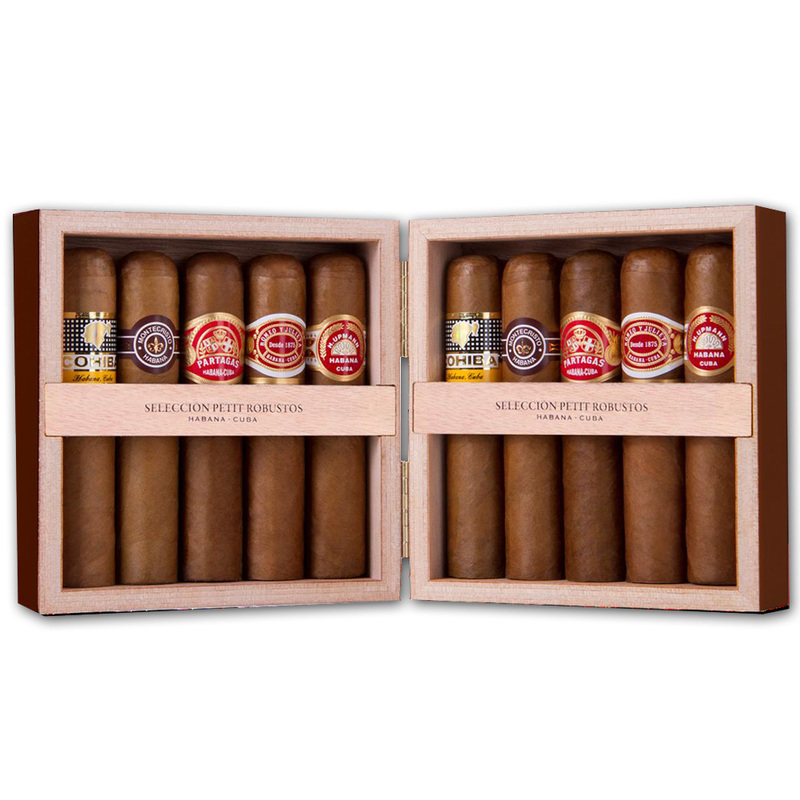 I’m especially fond of the Petit Robusto set, as it contains a few blends that you don’t usually see in the Petit Robusto format (such as Cohiba and H. Upmann) so they’re also a nice chance to try something new! So those are my top picks for the last 12 months. I’m looking forward to finding my picks for the next 12! I hope you’ll be about to enjoy them with me in 12 month’s time! Until next week: Put that in our pipe and smoke it!